It’s quick. It's QuickQnect. When you need to connect your model, use QuickQnect. Within minutes and often seconds, your model will be connected to meet AISC requirements. Our speed helps you stick to the schedule. You know it's schedule, schedule, schedule…and when revisions are required, Qnect re-engineers and models revisions in seconds. Experience the speed and productivity of QuickQnect. All connections are designed using the Qnect patent pending, iterative process for the most efficient connections in the market. All connections follow your user defined preferences to match your exact requirements. 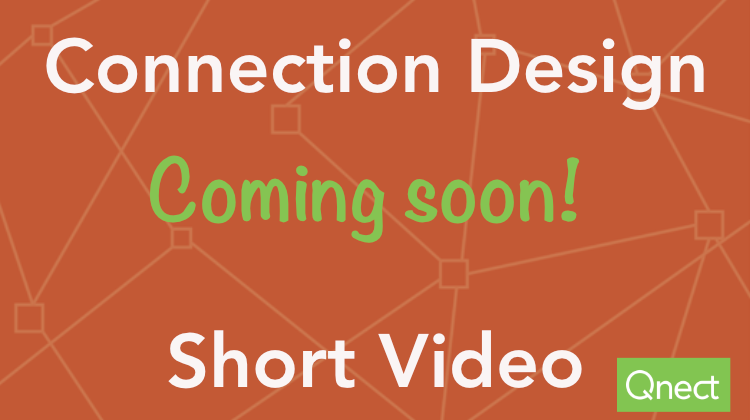 This Connection Design video walks you through how to go from a stick model to a connected model using Qnect.